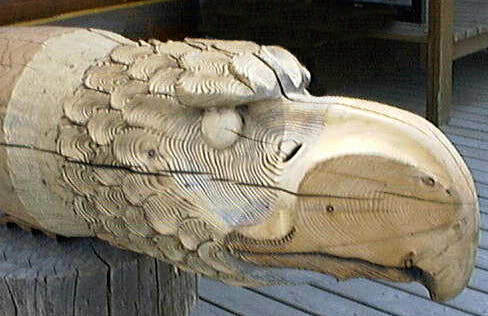 This Eagle purlin end was purchased by the high school in 100 Mile house. 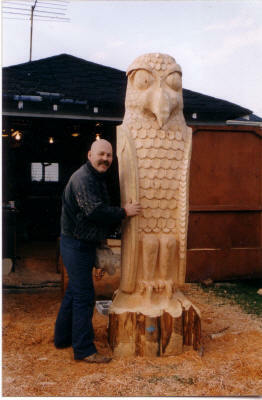 "Loon and Heron" Pole was created for builder Peter Pocklington, for his demo home in Pemberton, BC. ​a black slate fireplace and black wrought iron banisters. and so were not traditional birds depicted on poles. 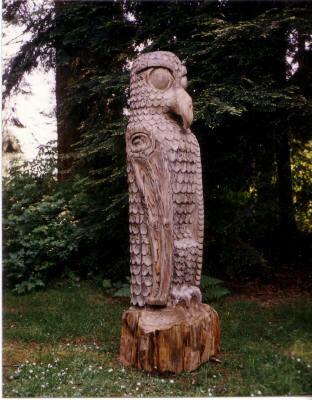 ​and of Eagle and Raven totem poles, and we made extrapolations from there.